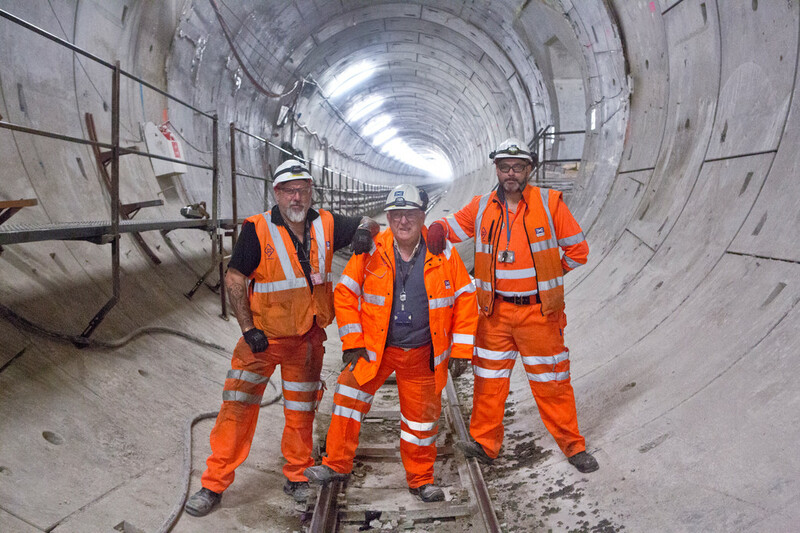 Fifteen Billion Pound Railway - meet the stars - Series 1 - Crossrail . For information about the Elizabeth line please visit the Transport for London website. For two years between 2012 to 2104 we provided exclusive access to the BBC’s producers Windfall Films who spent time with our tunnellers and engineers as construction of the new railway progressed. They witnessed the engineering challenges and key milestones including the spectacular tunnel machine breakthroughs. Find out more about some of the stars of each episode by clicking on the links below. As first jobs go there are fewer larger - and potentially more daunting - than tunnelling below the streets of one of the world’s busiest cities with a TV camera crew charting your progress. For Ed Batty it not only became the norm, but also proved to be the start of a whirlwind two years. Ed joined the project as a Tunnel Boring Machine (TBM) shift engineer in 2012 following three years of industry training. He was part of the team that helped construct the eastbound running tunnels between Paddington and Farringdon and soon found a documentary camera crew joining him as the tunnelling machine meandered its way through a maze of existing underground tunnels and utilities under Tottenham Court Road. Ed said: “It was the prospect of working on some of the most challenging and complex projects in Europe that made me choose a career in construction. The job literally is always changing and everyday brings a new challenge. I like to test myself." Following the completion of the Paddington to Farringdon tunnels, Ed moved on to the new Bond Street station and been recently promoted to BFK’s Shift Manager where he will be managing a team of 17 miners and engineers. Find out more about Ed's experience working on the Crossrail project on the Official Crossrail Tumblr blog. Andy Alder wants to change the world; one engineering project at a time. The 6’4” rugby player and kayaker was destined for building big tunnels. A seasoned tunneller, Andy has been working in the industry for the best part of two decades and has seen his fair share of major tunnelling projects after digging on no fewer than four continents. Among them has been a tunnel under the Suez Canal and transport tunnels in Malaysia and Canada. In the UK, Andy has worked on the Jubilee Line Extension, Channel Tunnel Rail Link, the Docklands Light Railway and upgrades to London Underground’s Tottenham Court Road station. 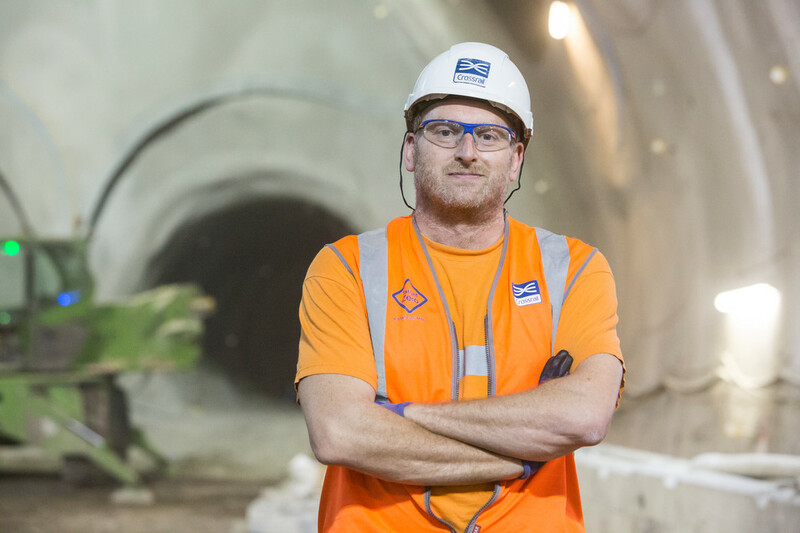 Andy has led a team delivering Crossrail’s western running tunnels between Royal Oak and Farringdon since 2009 as well as the station tunnels at Bond Street and Tottenham Court Road. Andy said: “The scale of the job is huge; we’re building vast tunnels right under the West End of London while allowing life in Soho to carry on above. Take a guided tour behind the scenes of construction progress at Tottenham Court Road station with Andy in this short video. Taking on some of the largest construction projects in the UK and Saudi Arabia seems a long way from curiously gazing at holes in the road in his first job some 28-years ago for Steve Parker. 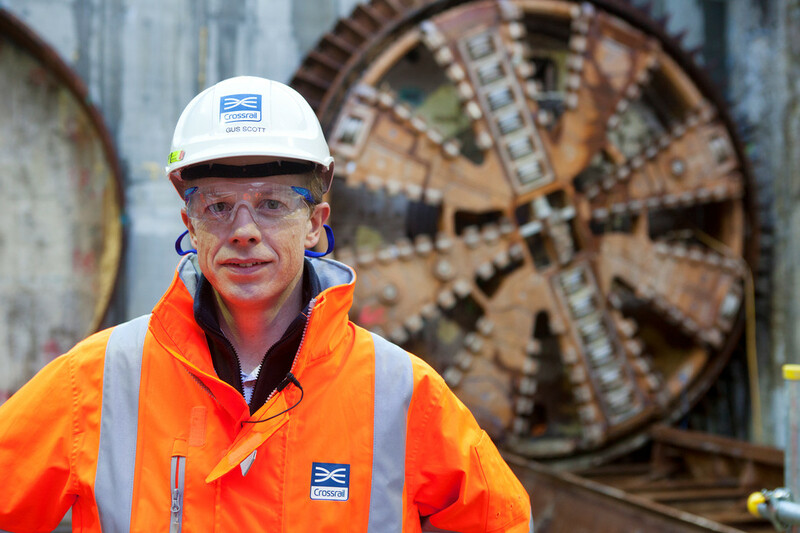 Every inch of Steve’s technical nous was tested during his spell on Crossrail as he ensured that the massive tunnel boring machines cutting through the earth below the streets of London navigated through the maze of existing utility and London Underground infrastructure without impacting on services. To add to the pressure, one of the most challenging moments, the crossing of the Northern line, Steve’s every step was captured for the BBC TWO documentary. Steve said: “Tunnelling so close to existing train tunnels and utilities with no impact on daily operations was a challenge. At Tottenham Court Road we were sitting just 800mm over the Northern line platforms in a 900 tonne tunnelling machine and no one was any the wiser. That took a real team effort. 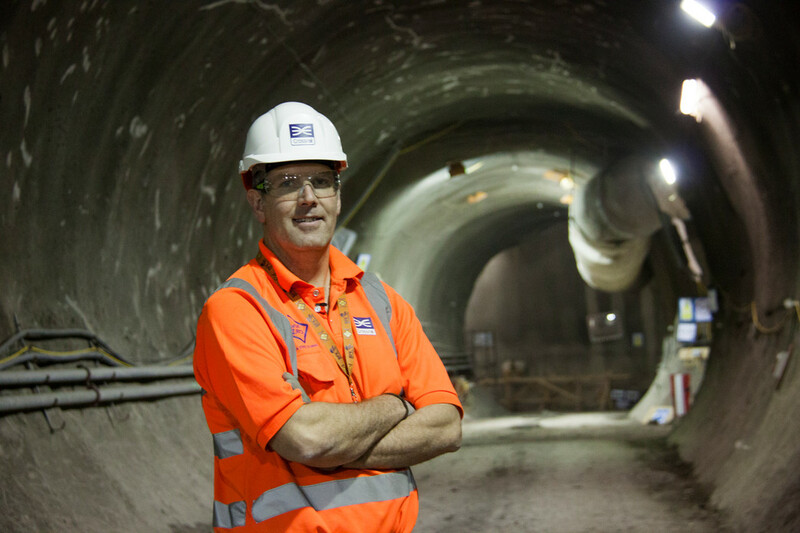 After completing his tunnels, Steve joined the $10bn Riyadh Metro Project as Tunnel Project Manager before recently returning to London to work as Tunnel Project Manager on Ferrovial’s bid for the Thames Tideway Tunnels contract. Most people during their younger years have played with Lego, but for Andy Mitchell his hobby as a youngster was simply the building blocks towards a much larger career. Now using much larger kits, he has led Crossrail’s £14.8bn construction programme since 2009. Andy has over 33 years experience in the construction and engineering sector and has worked across the globe including on projects in the UAE, South Africa, France and Hong Kong. Andy said: “I think it was when I got my first Lego kit as a child that my interest in building started. Construction and engineering has been my life for more years than I’d care to count but it’s been a wonderful experience and allowed me to work on some huge projects all over the world. 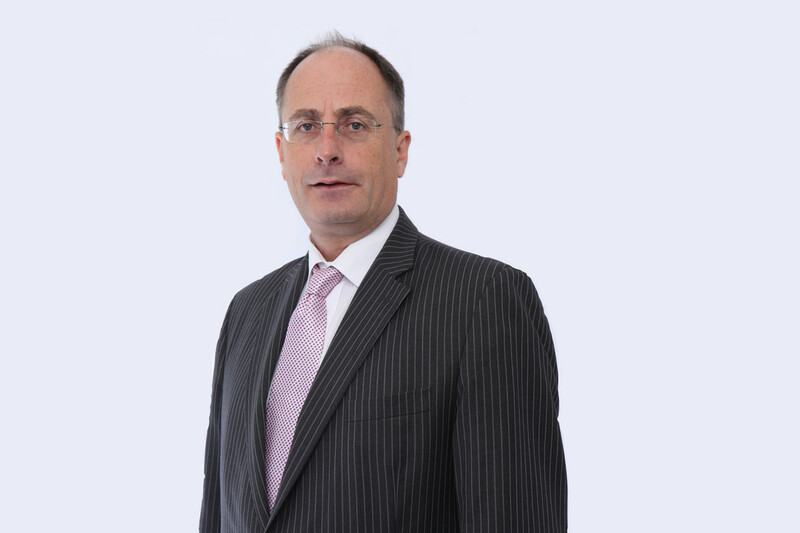 Andy left Crossrail in July 2014 to join Thames Tideway Tunnels Ltd as Chief Executive Officer. With a CV that boasts serving as a paratrooper and helicopter pilot in the US army, an engineer on a new Cape Canaveral launch complex and now working as Project Manager on the Crossrail project; Linda has been there, done it and probably made the t-shirt along the way. “I love the work. It’s an industry full of loud, robust people, using great big toys, doing a job most people think is impossible,” Linda said. 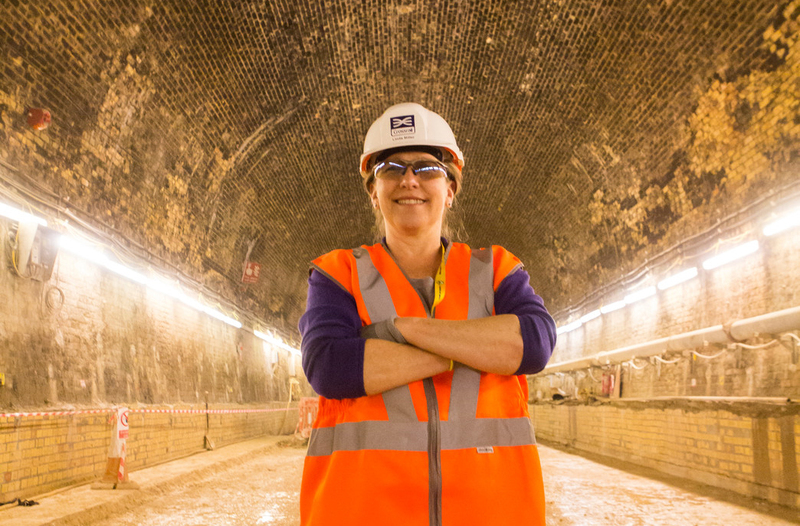 Linda joined Crossrail in 2010, with over 20 years construction experience under her belt, and took the reins as the Project Manager for renovations to the 130-year-old Victorian Connaught Tunnel. She’s has overseen the installation of a cofferdam and draining of part of the Royal Docks to allow for tunnel size to be enlarged to provide space for the new Crossrail trains to pass through – both of which formed part of the story for the documentary. This is not Linda’s first time in front of the documentary cameras. Back in her native America, Linda featured in a US Public Broadcasting System (PBS) documentary while working on the Boston Central Artery, a 161 mile road and tunnel project. Wherever Linda has worked she has regularly found herself being one of the few female faces on site. This is not surprising with just 8.5 per cent of engineers in the UK being women. 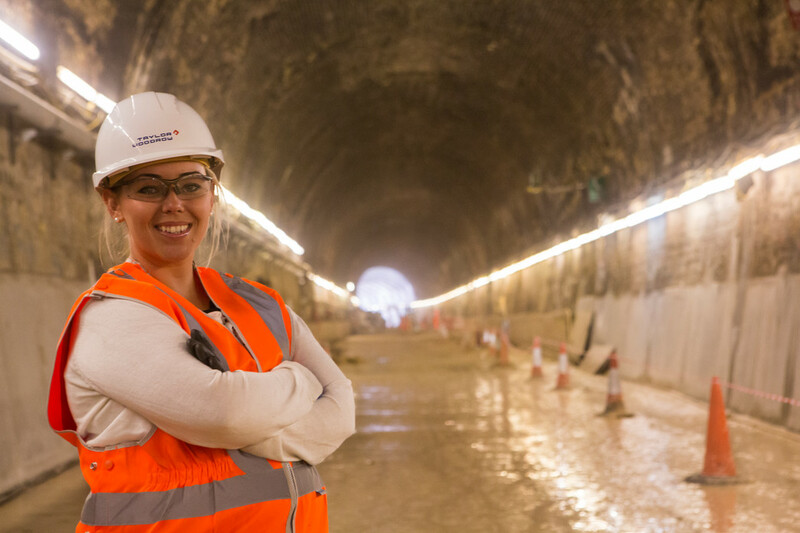 Fresh out of university, Alex, landed her dream job on Crossrail’s Connaught Tunnel. The Northumberland born Site Engineer graduated from Leeds University in 2011 before joining the team led by Linda Miller. Working closely with her team, Alex took on some huge engineering challenges - including overseeing the construction of a cofferdam and the enlarging and reinforcing of the old Victorian tunnel. “At the time we filmed the documentary I was a site engineer working for the Principle Contractor, Taylor Woodrow,” said Alex. “The job satisfaction of seeing the finished tunnel, knowing that you had a big part in making it happen, and the effect it has on the surrounding environment is second-to-none. I can't wait to travel on the first trains that run through Connaught Tunnel and tell people, I helped build that. 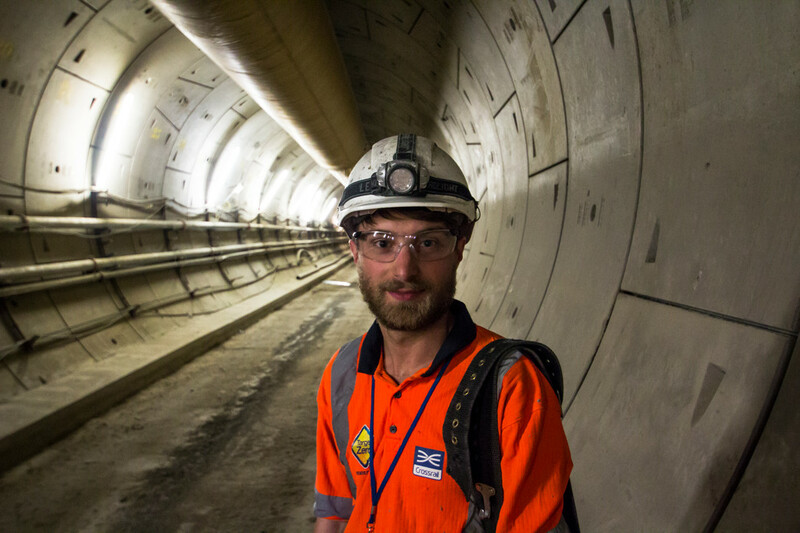 Since leaving Connaught, Alex joined Crossrail’s Thames Tunnel team and is currently working as a Section Engineer on the Bexhill to Hastings Link Road for Taylor Woodrow. As Project Manager for the delivery of the Thames Tunnel contract, Liverpool-born Gus featured heavily in the filming schedule as he demonstrated the work being undertaken at Plumstead through to North Woolwich. “My family are looking forward to finally seeing what I have been doing for the last eight years. My young son still thinks I’m out there with a shovel digging the tunnels by hand. I think my mates are looking forward to ripping into me,” he said. Expressing a passion for all things subterranean, Gus has had his hands full as filming coincided with the construction of two tunnels between Crossrail’s Woolwich Station and North Woolwich tunnel entrance. Gus came to Crossrail with a wealth of international experience having worked in the US, Spain, Turkey, eastern Europe, Algeria and Gabon. For the past eight years he has worked on different aspects of the Crossrail project including the last three leading the construction of the new Crossrail Thames Tunnel. A keen sports fan, Gus is a supporter of Liverpool Football Club and enjoys a game of rugby. He is a chartered mechanical engineer and recently left the Crossrail project to return to Bechtel Civil as their Global Proposals Manager. In the world of tunnelling the Bermingham name is somewhat legendary. For over half a century a Bermingham in one shape or another has been involved in tunnelling both here and abroad; a fact that looks set to continue for many years to come. 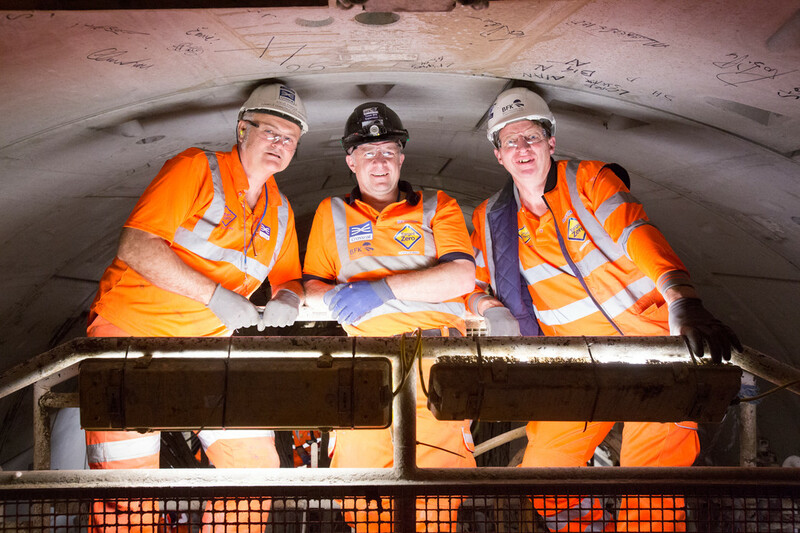 In recent times the trio of Berminghams – Peter (above centre) and his two sons Rob (above right) and Dan (above left) – have been teaming up to bring their years of experience to Crossrail’s Thames Tunnel project. Site Managers Peter and Dan and TBM Superintendent Rob have all been making sure Crossrail’s two tunnel drives under the Thames go to plan. The monumental breakthrough for Tunnel Boring Machines (TBMs) Sophia and Mary was a particular highlight as it was Peter’s ninth and tenth times under the Thames – a record for the industry. Rob added: “It’s a family business – my father, brother, uncles and cousins have all been involved over the years. I begun my tunnelling career on the TBM for the construction of the Channel Tunnel at the tender age of 19 and by 33 I had driven tunnel boring machines under London, Sydney and Singapore. Following Mary’s breakthrough, Peter hung up his hard-hat for the final time and has started his well earned retirement. Both Rob and Dan continue to work on the project. With a background in structural design the prospect of working as part of a project to revitalise a 150 year old Victorian-built tunnel on the Crossrail route was one too good to pass up. David played a key role in designing the renovation of Connaught Tunnel, turning it from a piece of Victorian infrastructure into a 21st Century modern railway tunnel. Although nothing like his namesake Ozzy, Paul brought his rock-star qualities to Connaught to help make a success of a project that would have had lesser men barking at the moon. Arriving on the project in 2011, Paul has been the Taylor Woodrow Project Manager for the Connaught Tunnel during a time that has seen a variety of highly technical work take place including the construction of the cofferdam and resizing of the existing tunnels. With nearly 35 years of experience behind him was well placed to take on the day-to-day challenges that the 130 year old Victorian tunnel had to throw at him. Paul said: “When I was getting into construction all those years ago it was the possibility of doing something different everyday that really appealed to me”. The epitome of the ultimate handyman, Jules has a knack of turning his hand at most things with a skill set that encompasses creating some of Crossrail’s largest underground caverns , renovating houses and most recently working wonders in front of the TV cameras. With a string of major construction projects under his belt, and over 25 years experience to his name, Jules has had a varied an interesting career to date. 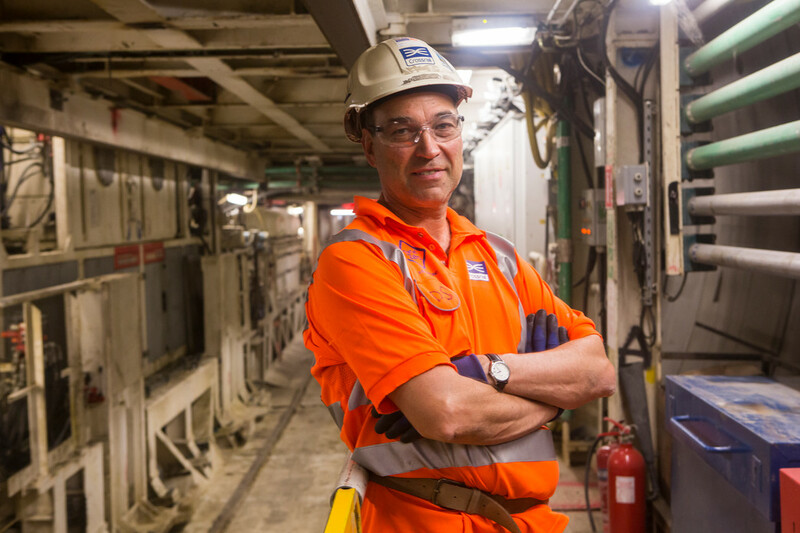 Starting out as a mining engineer on the Channel Tunnel back in 1988, Jules has worked on the Heathrow Express Station at Terminal 4 as well as projects in Denmark, Sweden and Slovakia. 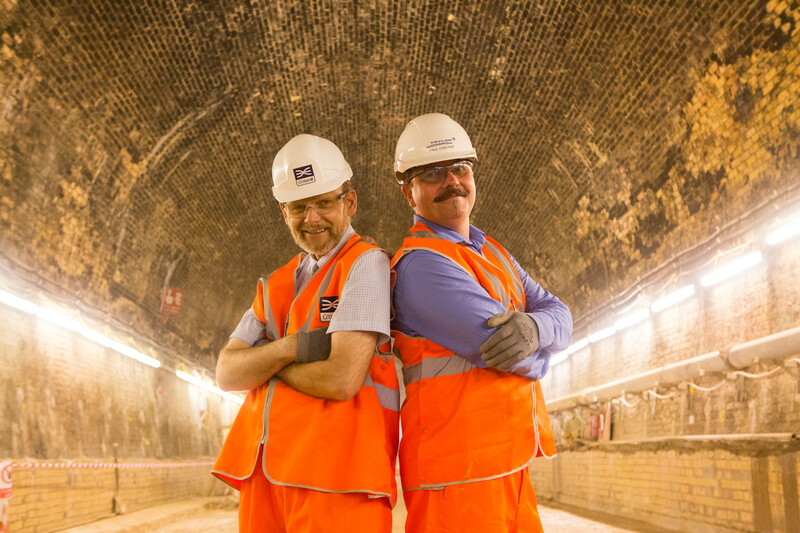 Now the all-action Jules works as Crossrail’s Project Construction Manager for the Whitechapel and Liverpool Street sites enjoys the camaraderie of working underground. “I’m a Mining Engineer which is ruffty tuffty by nature and exciting,” explained Jules. “I get to work with big machines and get to see the world. When I’m not working here I’m down on the south coast renovating my home. I like to keep busy. Dave came to Crossrail with over 30 years tunnelling and heavy construction experience and has used all his knowledge to ensure the success of the project. Having worked in the construction and engineering industry since 1979, Dave has been involved in some of London and the UK’s largest projects - including the construction of the Channel Tunnel, The Jubilee Line Extension, and the London Tunnels Section of the Channel Tunnel Rail Link - before moving on to Crossrail in 2010. Dave is no stranger to tunnelling machine breakthroughs and has played a role in six while working on the project. It was the Whitechapel breakthroughs captured on camera for the documentary that Dave took a starring role on board tunnelling machine Elizabeth as she broke through at Whitechapel. For as long as Jay can remember he has been digging up archaeology having joined his father on archaeology digs across Europe as a child. He came to the Crossrail project with over 20 years professional experience with his work taking him around the globe on major transport and utility infrastructure projects including Peru, France, Lebanon, Africa and Serbia. But it’s closer to home that Jay has been in his element helping to uncover over 10,000 previously undiscovered artefacts across Crossrail’s worksites. The new railway has provided the opportunity for the largest archaeology programme ever undertaken in the UK with finds ranging from Ice Age large mammal fossils and prehistoric stone tools to Roman objects, medieval plague-pit skeletons and even Tudor bowling balls. 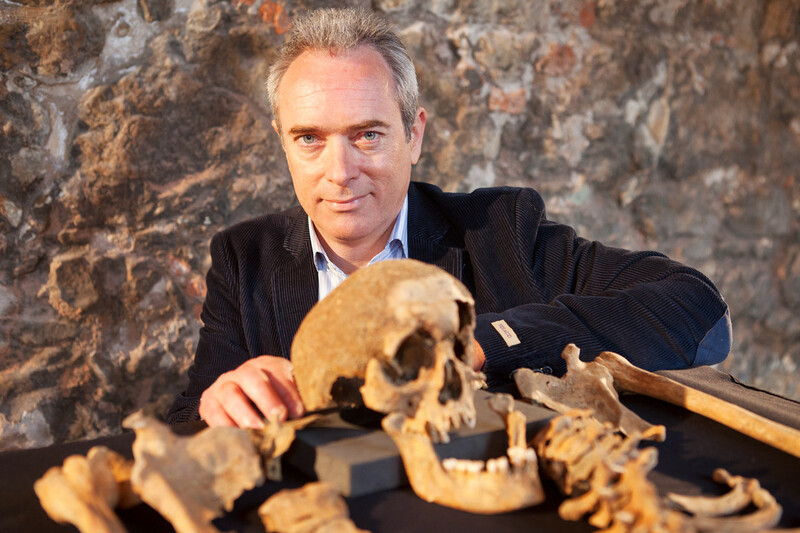 Uncovering London’s hidden past has been an exciting proposition for Jay and his team. Capturing a snapshot of the capital’s varied history has provided archaeologists, palaeontologists and historians with a greater understanding of London’s long history. Michael has been one of the project’s constants having been with part of the team since the beginning of 2008, some 17 months before the start of construction work in May 2009. Working for Canary Wharf Contractors Limited, the project delivery arm of Canary Wharf Group plc, Michael and the team have been responsible for the construction of Crossrail's Canary Wharf station and made it the most advanced Crossrail site on the project. Michael said: "I get great satisfaction from being part of something that creates infrastructure that contributes to the benefit of society. “I've worked in the industry for around 40 years and I still get the buzz seeing the work progress, be it one of the project's TBMs breaking through at Canary Wharf or handing over of the station box to Crossrail and it's tunnelling contractor five months ahead of schedule." BBC TWO’s The Fifteen Billion Pound Railway follows the construction of the Elizabeth line under London. Find out more about some of the stars of each episode below.